After storming all last week, we had a fantastic weekend of great weather and I was pretty productive as far as horsey-things go. And I have some exciting news! 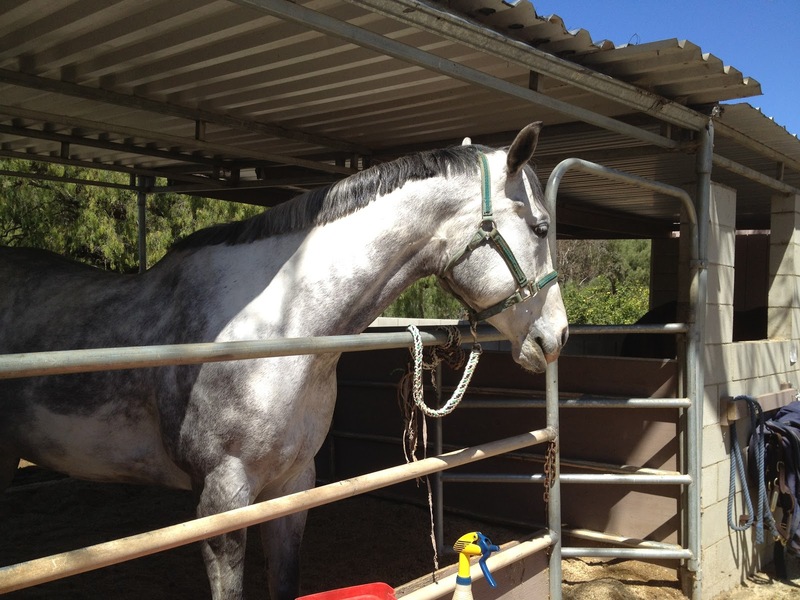 First – the exciting news: I’m going to do the upcoming Meadows of Moorpark derby on May 6th riding Elton, my trainer’s horse! Seriously, he’s a gorgeous horse. Haven’t been able to take a decent photo of him yet though. Several people from our barn are going, so we’re gonna have a good fun group! Its only Elton’s second show ever, so we’re going to do the “Easy Beginner Novice” division. I have to say, I’m so excited! I think we are going to both have a lot of fun. Elton is a BIG boy, super leggy, and just as sweet as can be. I enjoy riding him and am looking forward to taking more lessons on him to get ready for this show. But what about Spirit? you ask. Well…when it came time to do the entries, I realized that I wasn’t comfortable entering Spirit. Our last several XC schoolings have not been successful, and there’s no reason to sign up for a show if we can’t get it right in practice. My confidence is already shaken as it is. Its sad to admit that we’ve done BN at the Meadows many months ago, but I don’t feel safe doing it on her now. She is an unpredictable horse – sometimes great, sometimes quite naughty. Stopping, running away, dodging out – we address one issue and another pops up. It simply isn’t smart to show her until we can get some consistency and dependability. I’m quite blessed to have a trainer willing to share her horse with me, to help me with my confidence and allow me to participate in a fun event that I otherwise wouldn’t be able to do. Saturday the rings were closed (still too muddy), but the trails were quite nice, and Jess and I took the horses out for a nice ride. We even trotted and cantered some of the small hills both up and down – good practice for me who still gets nervous riding downhill. Sunday the rings were open and I did a good practice ride on Spirit. I worked on 2-point position, and not releasing my arms (not at the same time, though!). I also cleaned two sets of tall boots, one bridle, and one back-up headstall. I still have quite a lot of tack left to clean though. I also gave Spirit a good cleaning. 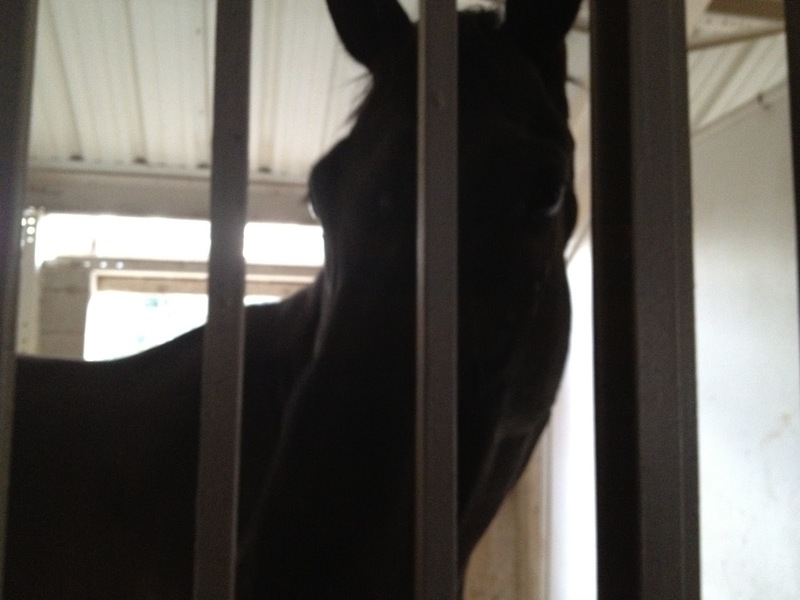 Meanwhile, Laurie and some other gals from the barn took a trip down to the valley to check out some Thoroughbreds. 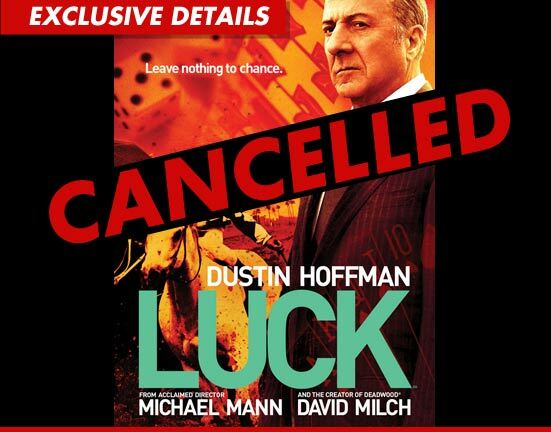 They are from the recently cancelled HBO TV series “Luck”. So, it turns out that there are about 40 horses that had been racing Thoroughbreds which HBO bought for this show, now cancelled after just 1 season. Instead of selling the animals back into the horse racing industry, HBO is rehoming them through reputable, fully licensed/accredited adoption agencies, including one that my trainer has had a relationship with for a long time. Kudos to HBO for that decision (though I’m sure PETA’s pressure had an influence). Laurie has always been an OTTB (Off the Track Thoroughbred) rescuer and re-trainer (including Elton!!! ), so we’ll see if some new faces show up around the barn in the coming weeks. What fun and what a generous trainer!